While it’s okay to make the occasional mistake on a small project, you don’t want that happening during a roof replacement. A new roof is a big investment, involving a considerable sum of your hard-earned money. To enjoy the lasting protection, comfort, and value this project offers, make sure that your project runs without a hitch. Rogers Roofing, your trusted contractors for roofing in Evergreen Park, IL, lists the common roof replacement mistakes and recommends a lasting solution. Some roofers end up with mismatched shingles when they buy from multiple suppliers. If you don’t want your roof to look disproportionate, make sure that your roofing contractor consistently uses the same dealer for roofing supplies. This ensures that the shingles you’re about to use are matched sets, resulting in a lovely and even roof. The weight of additional layers of shingles can weaken your home’s walls and structure. 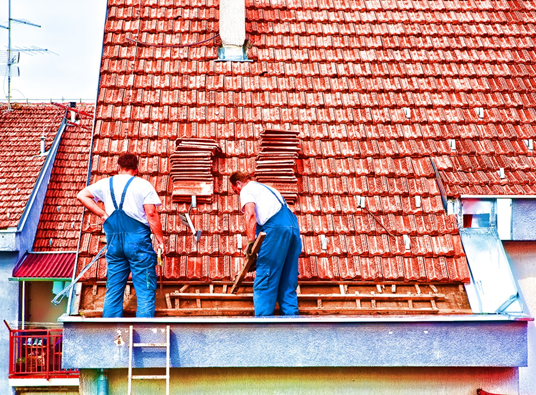 Before starting work on your replacement roof, it’s best to tear off the existing one. This way, your contractor can thoroughly inspect the roof deck for fragile areas while ensuring that your new Hammond roofing won’t inherit the issues of your current system. To protect your investment and prevent issues on personal safety, you’ll be required to apply for a roofing permit. This is essential for all building projects, and non-compliance can result in fines, forced removal of your new roof, and your insurance company refusing to insure your roof. Your roof consists of many different components aside from the shingles. Don’t forget to install proper attic insulation during a roof replacement. This prevents your shingles from wearing out sooner while helping reduce energy costs in your home. You can easily avoid these mistakes by hiring the right roofing company for the job. Rogers Roofing is the CertainTeed Select ShingleMaster™ contractor that Illinois and Northwest Indiana homeowners trust for superior roofing services. With our high quality materials and industry expertise, we’ll make sure that your roof replacement runs smoothly from start to finish—on time and within your budget. When you turn to us, expect only excellent service and exceptional client satisfaction. Choose Rogers Roofing for your roof replacement needs. Call us today at (773) 492-2270 for a free estimate.